Her art is indeed almost exclusively autobiographical, confiding to the world her trauma of discovering at the age of 11 that her governess was also her father’s mistress. 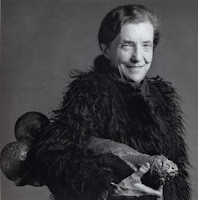 It is this ‘Oedipal mess’ that underlies most of her works. As a consequence, the language of psychoanalysis is perhaps more adequate than the language of art to analyze her ‘confessional art’. 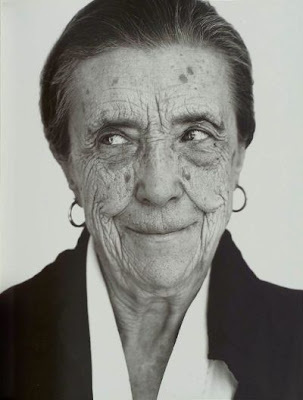 However, despite criticism from among others the Royal Academy, she had become an ‘A-list celebrity’ by the 90s. 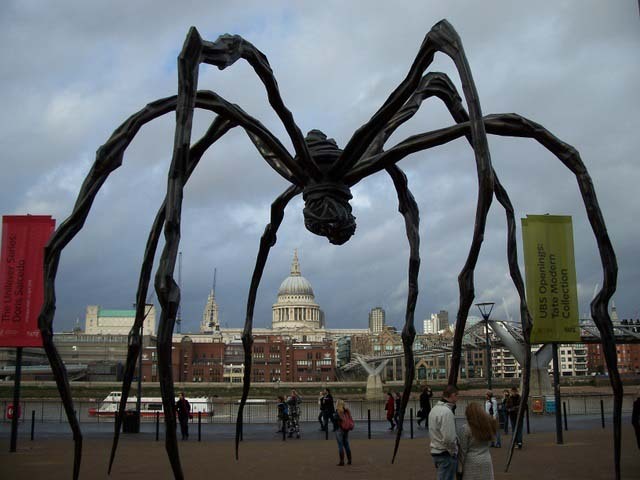 One of her most famous works is undoubtedly “Mother”, the immense spider that she had been creating since 1994 in different places such as London, Bilbao, and Seoul. 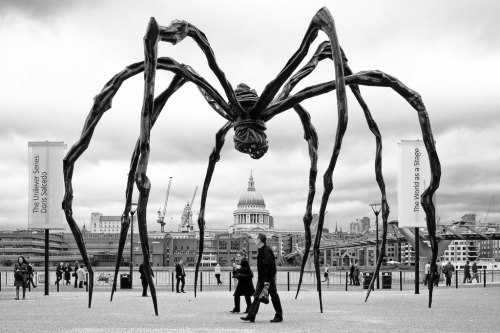 Louise Bourgeois identified this spider with her mother ‘because my best friend was my mother and she was as intelligent, patient, clean and useful, reasonable, indispensable, as a spider. She was capable of defending herself.’ Spiders also spin webs, which refers to her mother’s work of repairing tapestries. She put into her works a ‘web’ of memories that she unraveled from her childhood to exorcise them and to transform her anxiety into pleasure. That paradox between monstrosity and reassuring maternal figure is characteristic of her artwork. "Le jour où je n'aurai plus rien à exorciser, je n'aurai plus qu'à me taire."